Buying in banks and IT counters helped benchmark indices Sensex and Nifty settle over a per cent higher on the day of March F&O series expiry. The S&P BSE Sensex rallied 415 points or 1 per cent to end at 38,546, with HCL Tech being the top gainer and Tata Steel the top loser. Out of 30 constituents of the index, 24 advanced while only six declined. Market breadth remained in favour of advances as out of 2,819 companies traded on BSE, 1,666 advanced while 975 declined whereas 178 stocks remained unchanged. In the broader market, the S&P BSE MidCap index gained 161 points or 1.06 per cent to settle at 15,328 while the S&P BSE SmallCap index added 140 points or 0.95 per cent to close at 14,918. The broader Nifty50 index of the National Stock Exchange (NSE) added 125 points or 1.1 per cent to settle at 11,570. HCL Technologies shares ended at Rs 1,082.25 apiece on BSE, up nearly 4 per cent. Shares of Titan Company joined the elite club of Rs 1 trillion market capitalization (market-cap) after hitting a new high of Rs 1,129 apiece in the intra-day trade. The stock, eventually closed at Rs 1,134, up 1.8 per cent. Hero MotoCorp (HMCL) hit a two-year low of Rs 2,517 during the day on concerns of slowing demand growth. It closed at Rs 2,532, down nearly a per cent. Sectorally, PSU banks rallied the most in trade, followed by media and IT stocks. 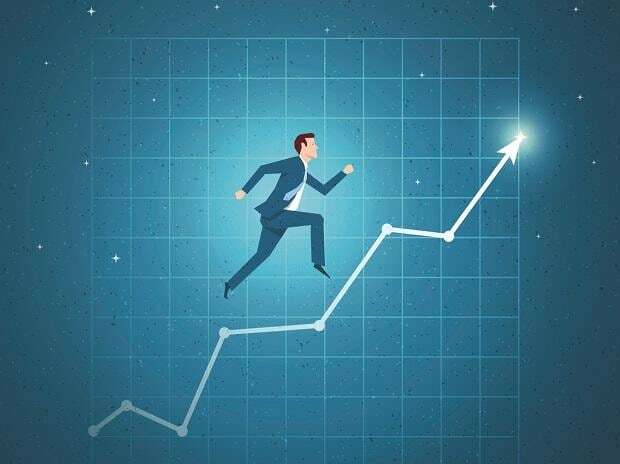 The Nifty PSU bank index gained 3.62 per cent to settle at 3,346.25, with all the 12 constituents ending in the green.